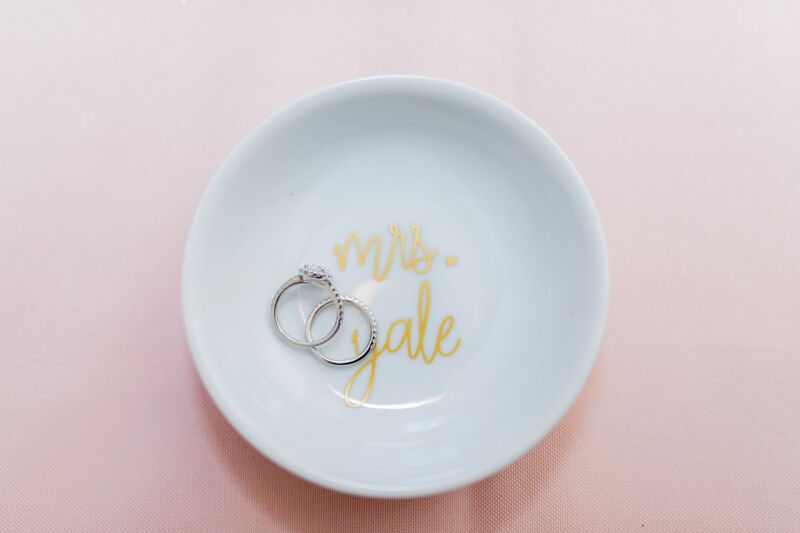 When we were approached by bride-to-be, Kelly, to help her in designing and creating acrylic pieces for her upcoming nuptials, we were over the moon! 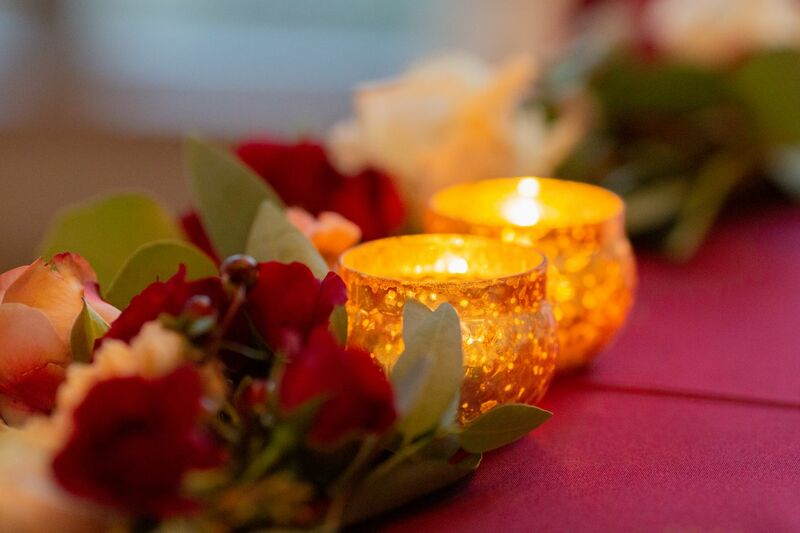 We absolutely love creating laser cut and engraved acrylic elements for weddings. 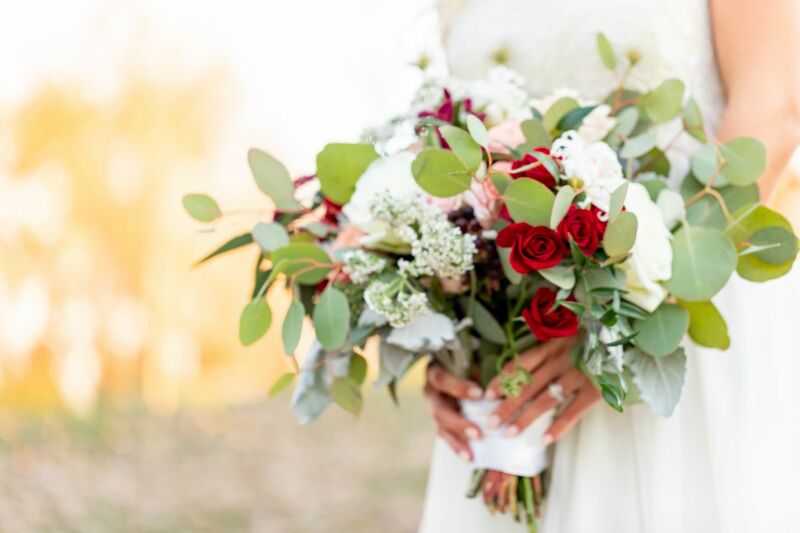 They are such lovely and elegant pieces, sure to make a statement in any ceremony or reception setting. 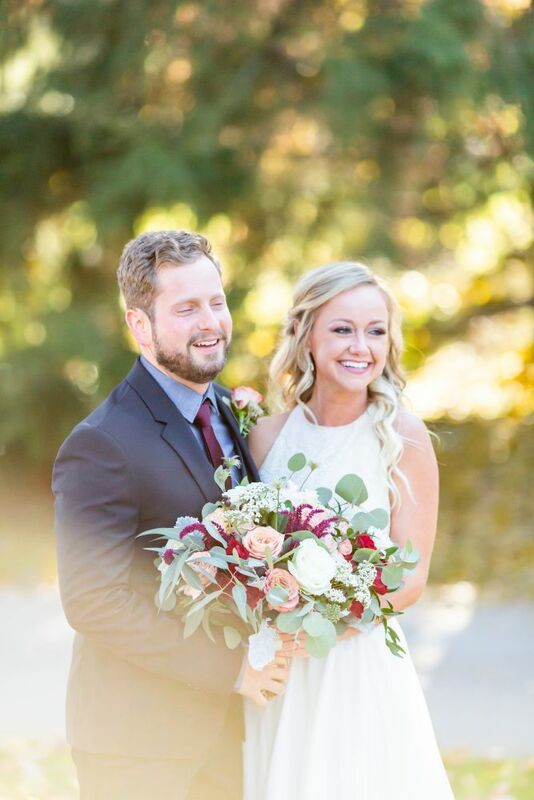 Kelly's wedding bouquet had the perfect blend of greenery and rich fall hues, don't you think? The loose leaves give it a casual boho look, which is so on trend at the moment. It was a beautiful Fall day for outdoor photos, capturing the incredible Indiana Autumn foliage. 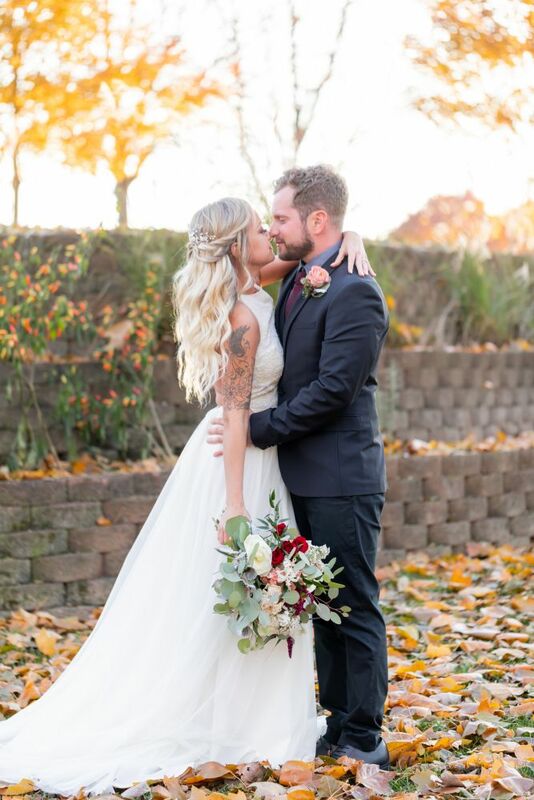 Those golden and amber hues leaves make for a stunning wedding photo backdrop. 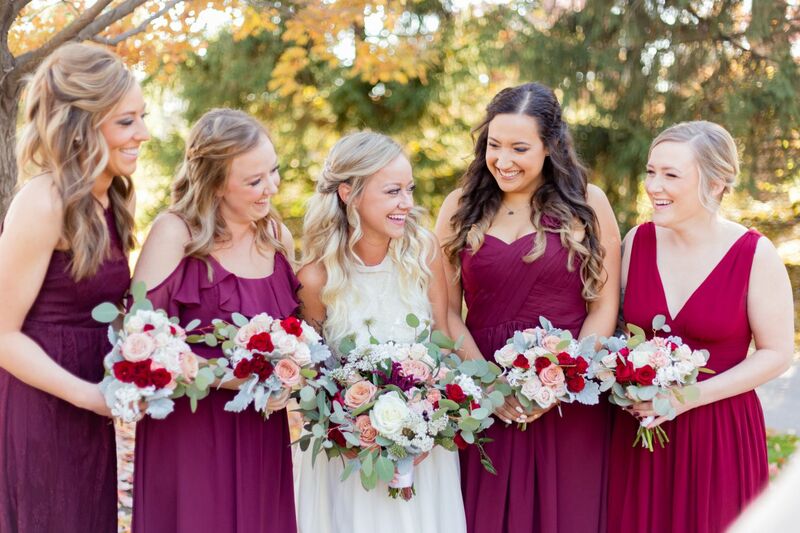 Julie with Flowers of Geist brought so many lovely floral details to every element of the wedding day. 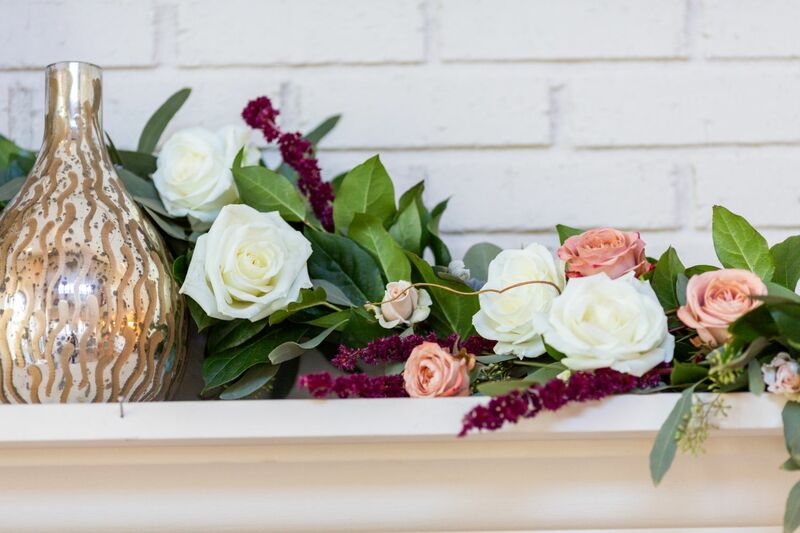 The vintage fire place mantle was adorned with a custom garland to coordinate with the bride's bouquet. Isn't that such a darling wedding ceremony space? 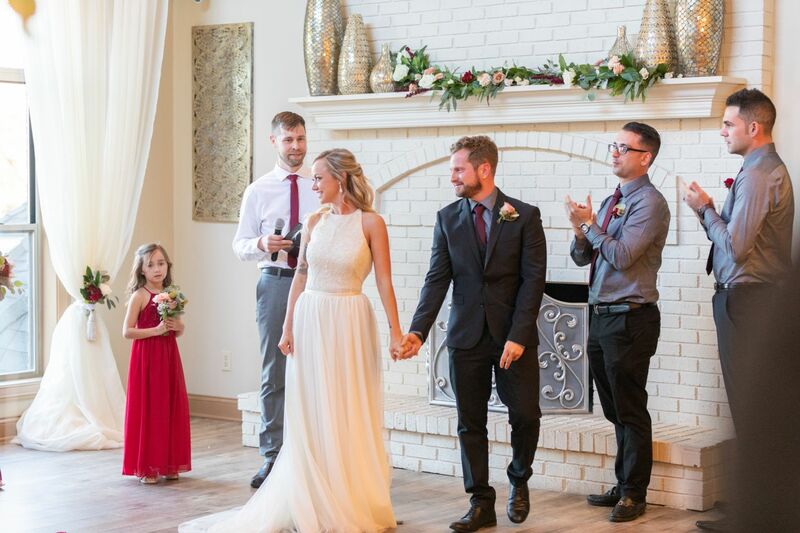 What a perfect ceremony location for Indiana brides hosting a small wedding, but would still like something formal and elegant. Now on to the wedding reception, where the fun laser cut wedding details really come into play! 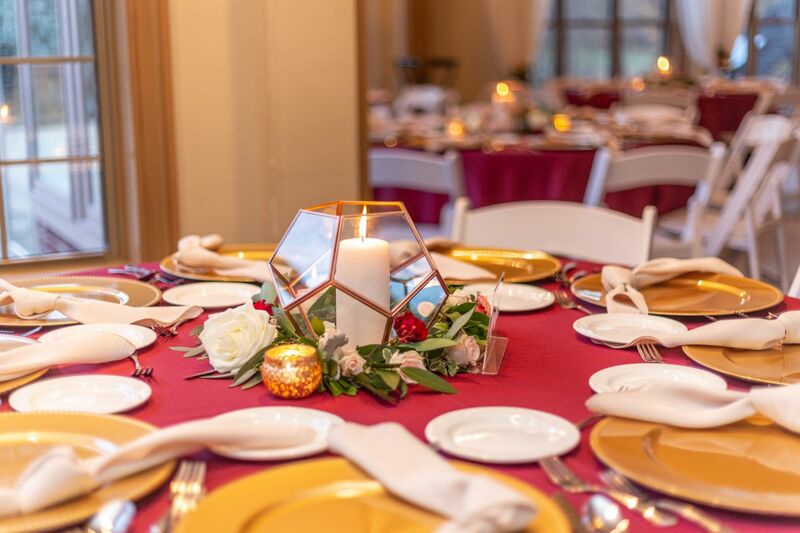 Looking for a unique way to display your guests' seating assignments? Consider a clear acrylic seating chart! What a "wow factor" this piece adds to the wedding reception entrance. 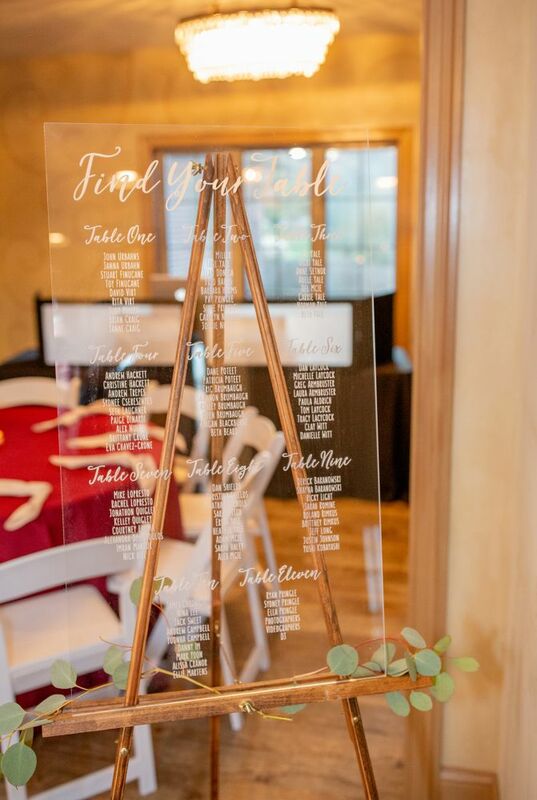 Kelly had a specific vision and precise fonts in mind during the design process - making this piece coordinate perfectly with the wedding day style & perfectly displaying the couple's attention to detail! 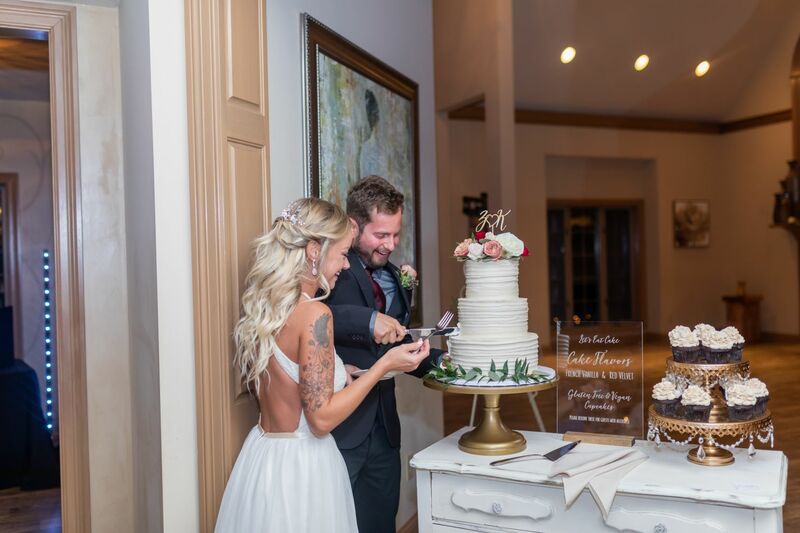 We were thrilled with how their cake table turned out, and were honored to play a small part in it. 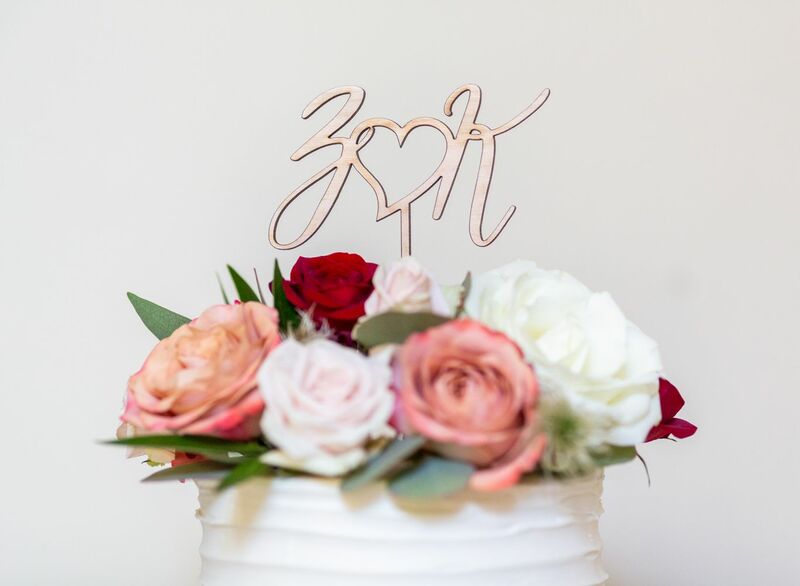 The vintage dresser, the gold cake stands, the laser cut topper & acrylic sign, and the subtle florals and greenery on the cake all came together in perfect harmony. 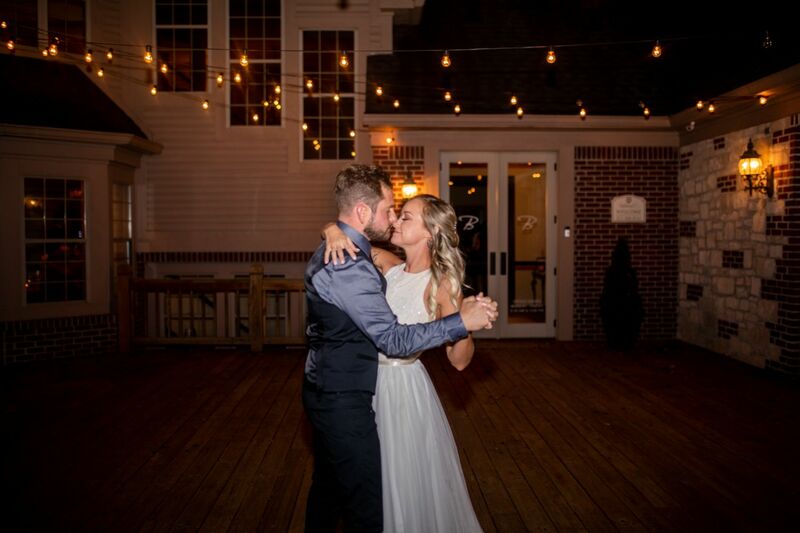 While we're doting on this wedding at the Balmoral House, can we take a moment to admire their patio - a perfect setting for the end of the wedding reception & the couple's last dance of the night? Those twinkle lights are so romantic! 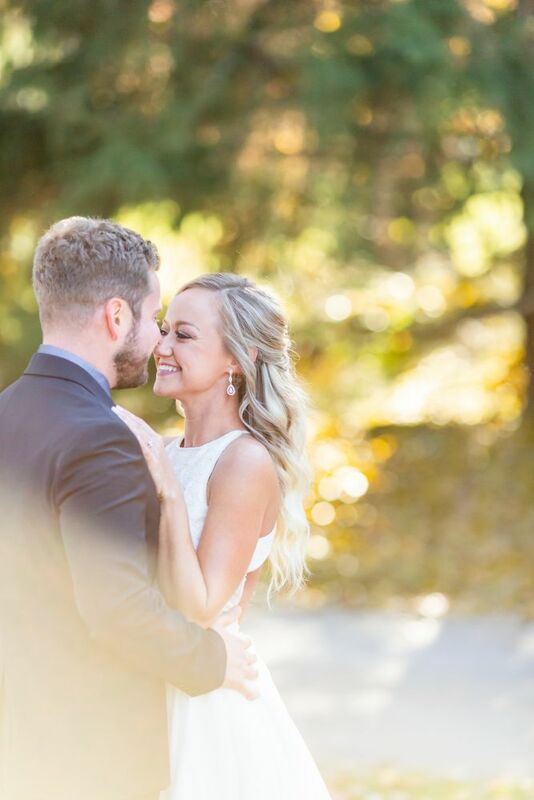 We are so happy for our clients, Kelly & Zach! Congrats! 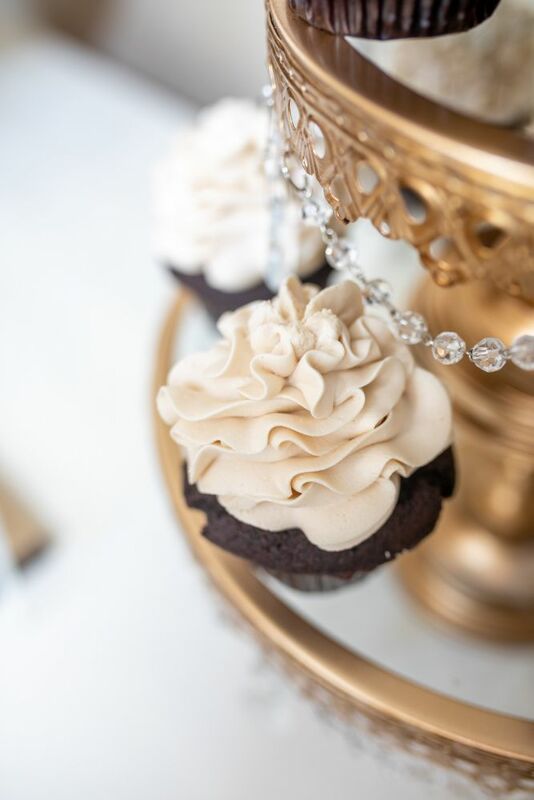 Here's a list of other contributing vendors, who provided the other pretty wedding details featured in the photos above. If you see something you love, be sure to contact them!